Mark Bethwaite (AUS) won FD trials for the 1972 Munich Olympics and his father, Frank, was the team's meteorologist. Rodney Pattisson (GBR) ending up winning the FD gold medal and Frank's amazing notes and graphs showed how Rodney used persistent wind shifts to win. 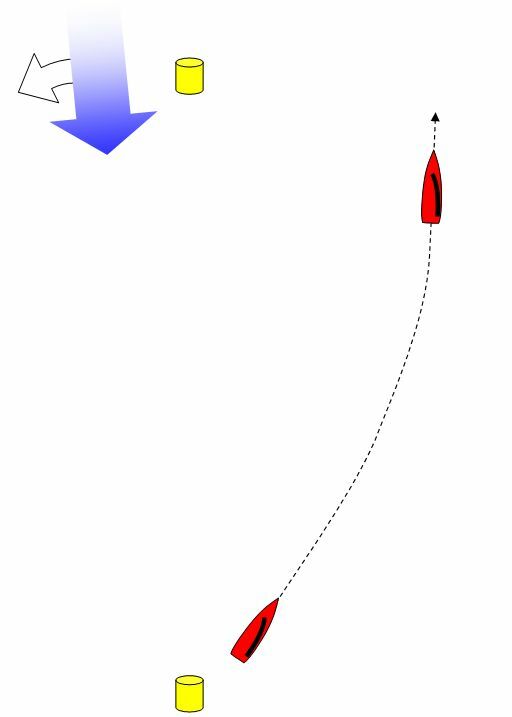 First a definition: a persistent wind shift is when the wind shifts one way and does not come back. If you sail with a compass or by staying on a lift, you end up going in a big circle. This is "sailing the course" at its worse, and we've all done it. It's tricky because we only realize it's a problem at the top of the beat when we have to come into the mark on a huge knock. What Pattisson did was take an early header and then have the lift take him up to the mark. The gains were only at the end of the leg if the persistent shift continued. A brilliant and gutsy move, and worthy of a gold medal. It's gutsy because if the shift is not persistent Pattisson is completely out of phase and loses to everyone who stays in phase. The shifts at Kiel were slow and, with Olympic medals at stake, Frank was amazed by how Pattisson accurately predicted when and by how much these shifts were persistent. 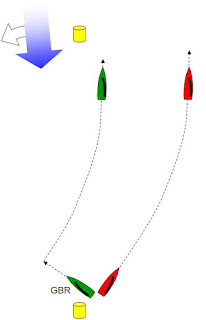 When you think about it, their likelihood is a function of the length of a windward leg and the speed of a boat. An opti sailing a two-mile leg will have lots of shifts back and forth, while an AC 72 sailing off St. Francis Yacht Club will probably have a part of just one persistent shift. 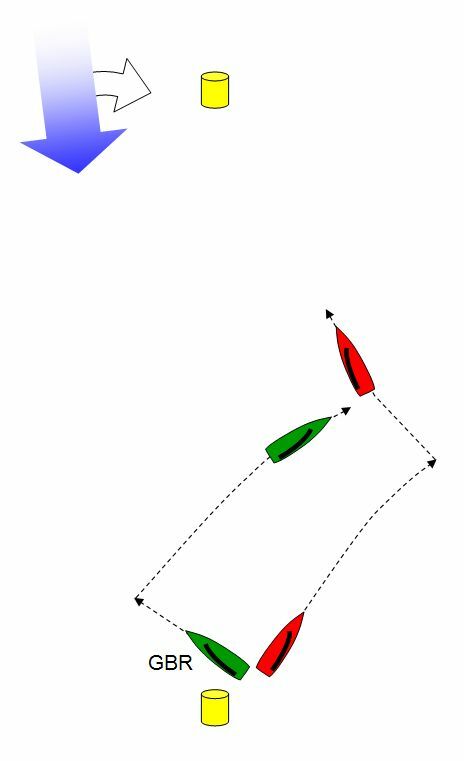 So, it's not surprising that this phenomena was first noted in FD races where the boats are really fast. Lasers are much slower, so persistent shifts should not be as much of a factor. This leads me to ask you a question. Think of your last 100 windward legs ... how many had a persistent shift? Most people guess between 0 and 10. One brave person told me 20. It's a trick question because, in IMHO, the correct answer is 100. You see, the last shift at the top of each windward leg is persistent. Why? Because you round the mark before the shifting back and forth has a chance to continue. This is why we have to ignore our compass and our gut stay-on-a-lift instincts at the top of each windward leg. If the wind is shifting back and forth and we're within one cycle, we have to remember to take a header if it will get us inside the final lift to the mark. This is especially important on short windward legs. When this works, it can be spectacular. When it does not, it's an I-can't-believe-I-made-that-bonehead-mistake moment. An example of this working can be seen at the bottom of this post. Take a look at the first beat of Race #10 to see one third of the 96 boat fleet sail the great circle route.